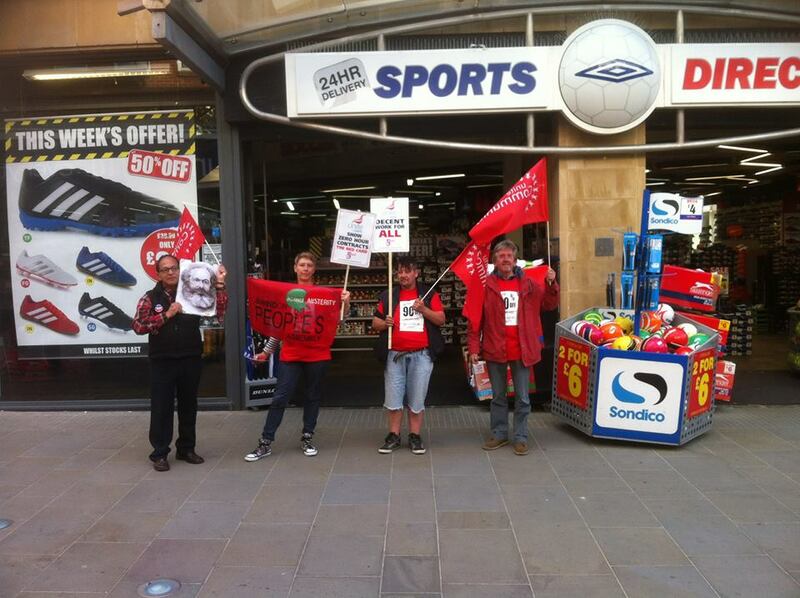 Wednesday 9 September 2015 members of SPA joined forces with Unite in Swindon to demonstrate against the Zero Hour contracts and working conditions for employees of Sports Direct. Outside the town’s branch of the store protestors talked to members of the public, many of whom signed the Unite petition in support of Sports Direct’s workers. 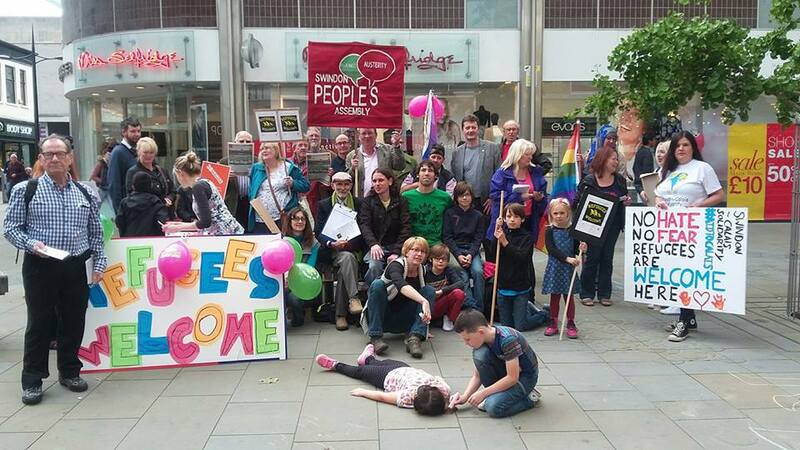 On Saturday 5 September Swindon town centre was the place local groups and people from all walks of life showed their solidarity for the refugees escaping war zones and respect for the thousands of individual human beings, men, women and children who have drowned in their desperate attempt to escape. Whilst Chancellor of the Exchequer George Osborne was delivering his annual Autumn Statement to Parliament on Wednesday 10 December, protestors in Swindon town centre were publicising the Government’s policies of cutting back on public spending and damaging ordinary people. Tues 18th November at The Beehive, Prospect Hill, Swindon SN1 3JS 19:30 for 1h 15m.